Trail cameras are used primarily by hunters and researchers to study animals and wildlife. The cameras are usually hidden from view so as not to disturb nature, and often times are able to capture things that don’t want to be seen. 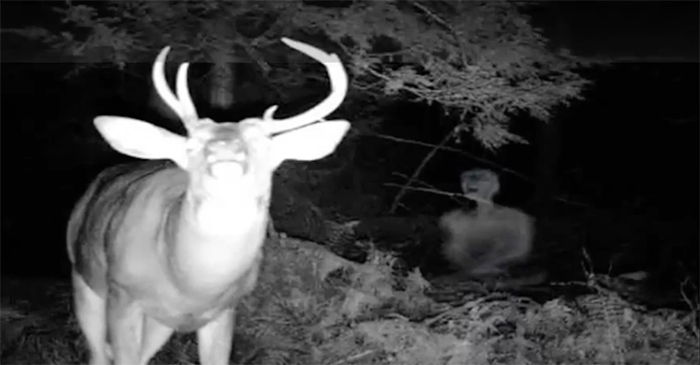 This is especially terrifying because trail cams have the ability to capture things that would normally hide from the outside world. Desolate forests are terrifying enough, but adding night time darkness and mysterious creatures to it makes it 3 times as chilling. 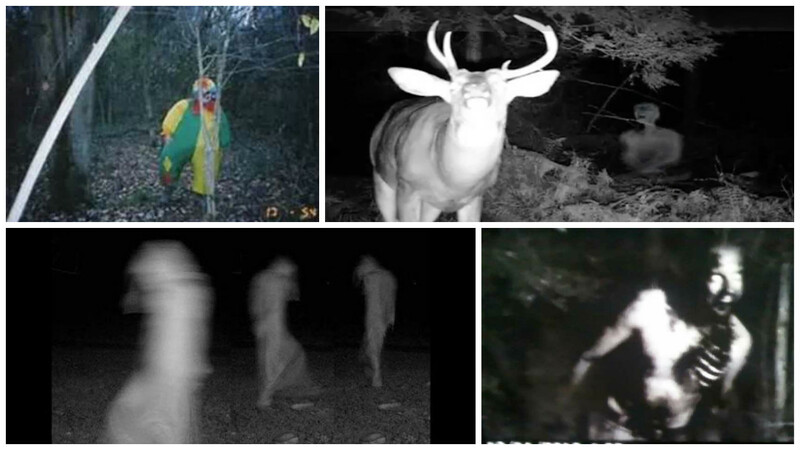 If you’re brave enough, here are 18 of the most chilling things ever caught on a trail camera. This photograph was taken in Big Spring, Texas. At first glance, you might think this is just a normal picture capturing some wildlife, but unfortunately, it is not. There is something much more frightening that appeared. Once you notice the little girl all alone and the deer staring suspiciously at her, you’ll get chills down your spine. 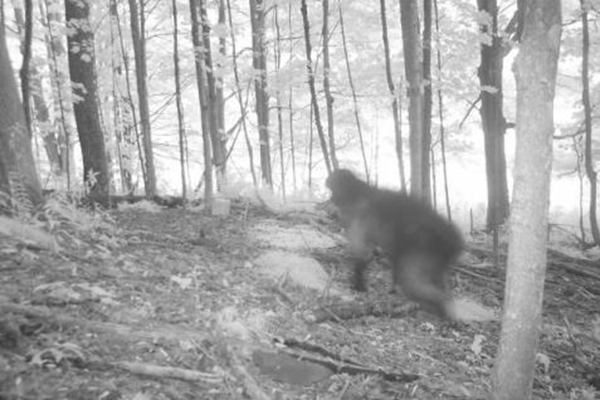 This mysterious creature was captured on a trail cam earlier in the day in 2011. It speeds through the forest fast, so it’s hard to get a look at it. 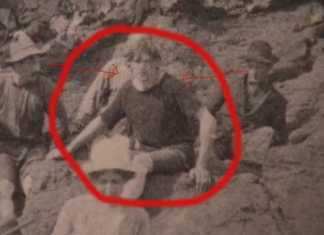 Many people who have seen the photo speculate that it is, in fact, Bigfoot. Whatever it is, it doesn’t seem normal. It also isn’t alone, as there are much more speedy beasts throughout the list. Click through to see what else hides in the forests! Do deer have some sort of special power to have mysterious figures follow them around? 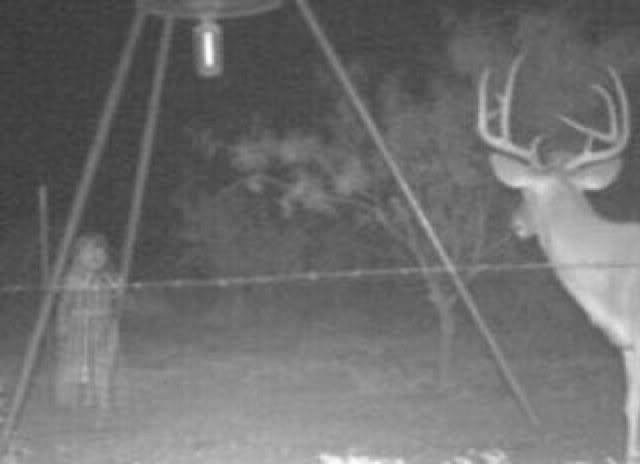 Whatever the reason deer are commonly spotted with creepy figures, this picture is absolutely chilling. 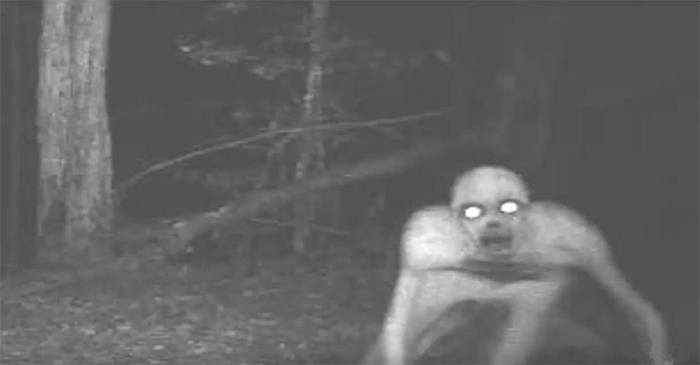 It’s not quite clear what exactly the figure is, but is certain that it doesn’t look happy and we are sure that there is definitely a not normal face in the woods. This terrifying image is scary in that it could be any number of things. It has a fuzzy outline, making it look like a ghostly figure. 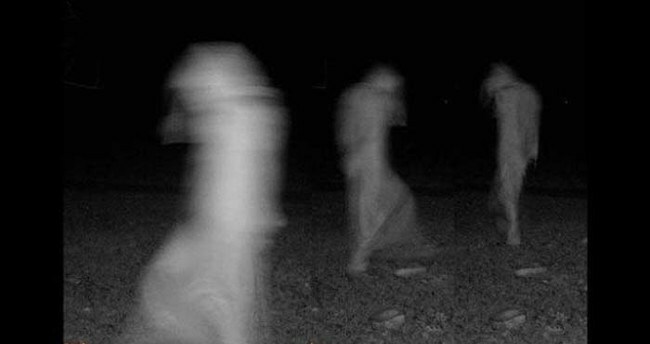 The figure also has a drapey look to it, making it possible that it could be a ghost with a long hair or a long cape. Some have even speculated that it could be a skinless monster. Hopefully, it’s just a regular old person in a hoodie of some sort. The next slide reveals something even creepier about the image. In this image, it can be seen that there are not just one of the creatures, but three. This image also makes it look more so like it’s wearing a type of clothing as it stretches between leg to leg. 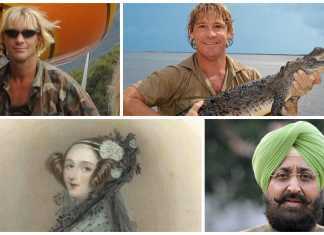 One of the scariest parts is that you can’t really get any sort of facial recognition. This image looks like it was taken straight from a horror movie. The figure is obviously wearing either a really long coat or a gown. It’s also hard to tell if you can make out a face or if it’s just the leaves creating a pattern. The figure is rather tall as well, making it extra terrifying thinking about the potential that you could run into this in the woods. #11 Is That An Old Woman? This picture is one of the clearest on the list, which isn’t necessarily a good thing. 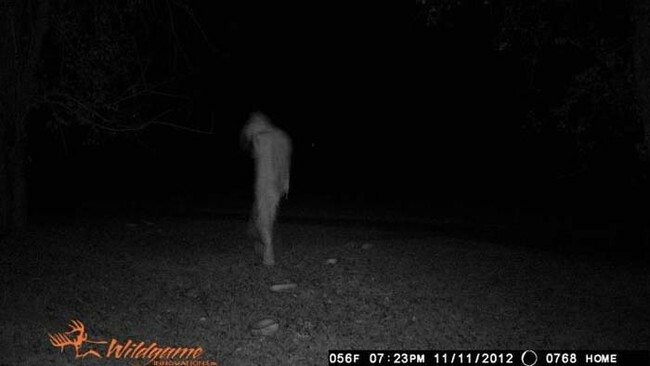 WE can easily make out from this picture that this is either a creature wearing a nightgown or an old woman walking around outside alone at night in her pajamas. Either way, it isn’t good and is rather unsettling for anyone planning on traveling in the woods anytime soon.